The process of drafting a federal constitution for Somalia dates back to 2004 when a Federal Charter and a federal system of governance were adopted in Kenya. The Transitional Charter mandated the formation of an independent commission that would prepare a new federal constitution in two and half years. However, the commission was only formed two years later, in 2006, by the Transitional Federal Government (TFG) president, Abdullahi Yusuf. The Independent Federal Constitution Commission (IFCC) produced the first draft constitution in July 2010. An additional 9-member Committee of Experts (CoE) was established alongside the IFCC in 2011, and the two commissions organized constitution conferences in Garowe (twice) and Gaalkacyo, and presented a Harmonized Draft Constitution in April 2012 to the six signatories of the 2011 Roadmap – TFG leaders President Sheikh Sharif Sheikh Ahmed, Prime Minister Abdiweli M. Ali, Speaker Sharif Hassan Sheikh Aden, Puntland President Abdirahman M Farole, Galmudug President Mohamed Ahmed Alin and Abdulkadir Moallim Nur of Ahlu Sunna Wal Jamaaca. However, a Technical Review Committee formed by the signatories revisited the constitution in Addis Ababa and Nairobi without the presence of IFCC and CoE members, and the signatories endorsed the constitution. Many Somalis believe that the current 2012 Provisional Constitution is the product of the Addis Ababa and Nairobi review meetings. The IFCC and CoE were subsequently dissolved by a decree and the protocol establishing the National Constituent Assembly (NCA), among others, was signed in Nairobi. On August 2012, 825 Constituent Assembly endorsed the 2012 Provisional Constitution. As many issues were left unresolved, a new phase of a constitutional review started in 2012. The provisional constitution mandated a parliamentary oversight committee and an independent review commission to finalize the constitution. The Independent Constitutional Review and Implementation Commission (ICRIC) – which was formed in June 2014 — and the parliamentary Oversight Committee fell short of expectations for various reasons including insufficient resources, a limited timeframe, political instability and absenteeism of its members. The two commissions, however, hastily reviewed the constitution in the last months of the mandate of the 9th parliament  and submitted to parliament a revised version which included options on some of the more contentious issues. The Parliament, in turn, delegated the mandate of finalizing the constitution to the current 10th parliament. The content of the constitution which is under review is divided into two main categories: technical review and contested political issues. Parliamentary review is sufficient for the resolution of the technical issues. The parliament, especially the oversight committee with the support of the ICRIC, should prioritize reviewing the technical issues thoroughly. The second category of the review process involves the contested and unresolved political issues. The practice of a federal system in Somalia requires prior consent and agreement on a number of political issues. 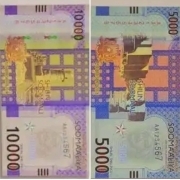 These include the powers and responsibilities of the federal government and regional states, the share of fiscal and natural resources, the judiciary model, the status of Mogadishu, the powers of the president and prime minister, and the representations and mandates of the two chambers of the federal parliament. The review commissions cannot decide these matters without a prior consent of the political stakeholders. Agreement over these contested issues is the most complex and difficult part of the constitutional review. There has not been a clear platform for initiating the discussion on these issues. The role of different institutions intended to spearhead the review process could not be agreed upon by the relevant entities. Although the constitution mandates the Oversight Committee and ICRIC to review the Provisional Constitution, there are many existing institutions responsible for constitutional affairs at both federal and state levels. The federal government has three constitution entities: the Ministry of Constitutional Affairs, the Independent Constitutional Review and Implementation Commission, and the parliamentary Oversight Committee. There have been numerous clashes and deadlocks between the Ministry of Constitutional Affairs and the constitution review commissions over their respective mandates and roles in the review process, which has resulted in delays. The commissions and the Ministry separately organized a number of consultation conferences in Mogadishu and the regional capitals. Notwithstanding that a Memorandum of Understanding was recently  signed by the three federal-level constitution institutions, the rift among the institutions is not genuinely resolved. Furthermore, there are state-level interests to be considered. Regional states – Puntland, Jubaland, SouthWest, Galmudug, and Hirshabelle – all have ministries responsible for constitutional matters. Accommodating all these overlapping institutions is going to be challenging. In mid-May, for example, Jubaland refused to take part the launch of the National Constitutional Convention in Mogadishu. Another major challenge that could explain in part why Somalia is yet to have a permanent constitution is that the constitution-making and review processes were funded primarily by international donors. Millions of dollars were spent on the Provisional Constitution since the process began more than a decade ago. The lack of Somali policymakers’ interest in investing in the federal constitution combined with the international community’s determination to contribute to the design of it, has ensured that the review process remains an endless mission. Indeed, the creation of many constitution institutions and the conflict among them can be partly explained by the continuing availability of donor funds for the process. It is, however, to be commended that the current federal government has for the first time allocated funds — $3 million this year — from the national budget for the constitution review process. If disbursed and managed properly, the government budget would be sufficient for the review. 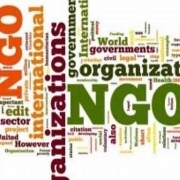 Financial support and involvement of the international community should continue and perhaps be aligned with the later stages of the review process, — the public outreach and nationwide plebiscite. Somali citizens need a constitution that responds to their political, economic and social interests. The constitution-making and review process has dragged on long enough and continues to present an obstacle to the building of state institutions and the delivery of better social services to the public. To ensure that the results of the Somali constitution review processes endure, five steps have to be taken seriously by the relevant stakeholders. First, the parliamentary Oversight Committee and the ICRIC should prioritize reviewing the technical issues of the constitution, which make up the majority of the matters which need to be resolved. Most of these technical issues have previously been examined in detail, and it should not be difficult to produce a second revision and assessment for parliamentary review and approval. If the technical issues were addressed, it might provide the momentum to move forward with recommendations on the more contentious political issues. Second, the incumbent Council of Ministers of the Federal Government of Somalia should reach out the key political stakeholders including the leaders of the federal states, politicians and interest groups for discussing the contentious political issues. 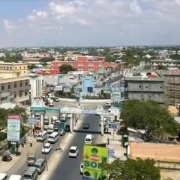 A national forum could be launched for this purpose, with subcommittees to deliberate on such issues as the powers of the president and prime minister, the powers of the two chambers of the federal parliament, the responsibilities and powers of the federal government and states, the share of fiscal resources, the judiciary model, the share of natural resources and the status of Mogadishu. Each of these issues should be discussed and agreed by the political stakeholders in a specified timeframe. The constitution commissions could then prepare summary statements in the form of constitutional articles for presentation to the public. Third, once the technical issues are fixed and the contentious issues are agreed upon by the political stakeholders, the harmonized draft constitution should be presented to the public, both to educate them and to seek their input. This is the stage where the Ministry of Constitutional Affairs and the regional constitution ministers would take a leading role. A vigorous public outreach program and creative methods to record and synthesize the public voice should be designed in advance. Fourth, the draft constitution — with the input of the public — should be presented to the two chambers of Parliament for their temporary approval. It would remain as a draft until a nationwide plebiscite was held that would give the constitution more legitimacy. However, it would be much better than the current blurred provisional constitution. Finally, a national constitutional plebiscite would depend on two things: (i) an answer to the Somaliland question, and (ii) the state of security of the country. However, this important exercise would give more legitimacy to a constitution that was reviewed in an inclusive process. Given the planned 2020-21 elections and the need to establish properly functioning institutions, the constitutional review roadmap outlined here require committed leadership whose sole interest is to produce a constitution that responds to the interests of the general public and gains its approval in a legitimate and inclusive process. A very notable and worthy reading piece. It gives a very comprehensive understanding of an important topic (the constitutional review process) which needed to be analyzed. It is a well-articulated piece of writing.